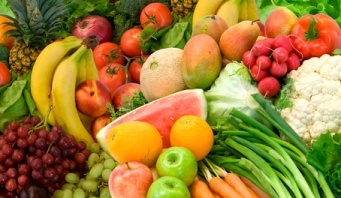 A diet containing the right food for healthy skin is an important aspect to healthy skin care. What is the meaning of “the right food”? The right food refers to the type of foods that contain the key nutrients that benefit the skin the most. In a well-balanced diet, the body is able to get enough nutrients for good skin health and for the body to function well as a whole. However, in today’s society a well-balanced diet does not exist in too many households. Often diets lack the vitamins, minerals, and other essential components for healthy skin and healthy bodies. 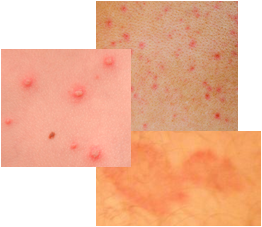 In addition, certain skin conditions may occur even if a well-balanced diet is followed. In these situations, changes in the diet or the increased intake of certain foods may help cure, prevent, or at least minimize certain skin problems or skin diseases. When we discuss healthy skin foods, just what kinds of food are we talking about? Foods for skin refers to the foods that contain the right nutrients for the skin. For a list of some of the top rated foods for healthy skin, visit this best food for healthy skin link. More specific information on nutrients and the benefits they provide to the skin can be obtained by clicking on the links below. Consider following a raw diet for healthy skin and to combat certain skin problems. Use your diet to control and eliminate skin yeast infections and yeast related skin rashes. Cure the eczema skin problem through diet. Use your diet to combat psoriasis. Food for healthy skin includes selenium and the benefits of selenium are quite broad. 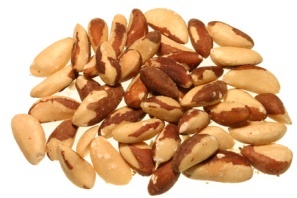 Selenium is a mineral found in a variety of foods. The foods with the greatest amounts of selenium include oats, corn, wheat, brown rice, nuts such as Brazil nuts (a great food for healthy skin) and walnuts, meats such as poultry and beef, seafood such as tuna and herring, organ meats such as liver and kidney, eggs, and cheese. Selenium can also be taken in supplements. The recommended daily allowance (RDA) for selenium is 55 micrograms, which is quite low compared to some common vitamins such as vitamin e for which the RDA is 15 milligrams or 272 times more. One must be careful not to take too much selenium because of toxicity problems at levels moderately higher than the RDA. One of the greatest selenium benefits for health and skin care is its role as an antioxidant. This may mean that the selenium benefits can range from cancer prevention to anti-aging, both of which are important issues in healthy skin care. Some clinical trials have also shown selenium has a role in the prevention of inflammatory skin diseases such as psoriasis and eczema and can help with the prevention of infections. Selenium plays a role in immune system boosting which may help fight cold sores and shingles caused by the herpes virus. Other selenium benefits for skin include a role in increasing the rate of skin burn wound healing and treatment of dandruff. What are the skin care benefits of acai? The acai berry skin care benefits can be obtained by eating the fruit or drinking the acai juice. Also, several skin care companies are producing product lines that incorporate the benefits that the acai fruit can provide for proper skin care. First of all, the acai berry comes from the acai palm tree found in Central America and South America. When ripe, the berry is small round and purple in color. Some have compared the acai fruit appearance to certain types of grapes. The acai fruit is very high in antioxidants, one of the highest amounts of any fruit, which helps prevent damage to skin caused by the sun and pollutants that we are all exposed to on a daily basis. This makes it a great food for healthy skin. Anti-oxidants slow the aging process of the skin and prevent premature aging by neutralizing damaging free radicals. Anti-oxidants can also prevent skin cancer. More acai berries or acai juice benefits rest in the fact that acai contains omega-6 and omega-9 fatty acids. These acids possess anti-inflammatory properties and are useful in the maintenance of healthy skin. The fatty acids also play a role in skin moisturization, another benefit of acai for healthy skin care. Acai also contains silicon. The benefits of silicon for skin care are that it helps improve collagen production in the skin. Collagen is responsible for skin elasticity and strength and good collagen production leads to less skin wrinkles. This is a very important factor in anti-aging skin care. As is evident, there are many benefits of acai for proper skin care and overall good health. The health benefits of almonds include various skin care benefits as well. One of the main benefits of almonds as a food for healthy skin is that they are rich in vitamin e which provides numerous benefits for the skin and overall good health. 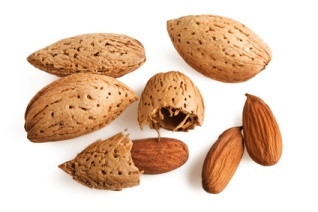 Almonds are also a good source of vitamin d, magnesium, and calcium. In particular, almond oil is a great skin moisturizer and is great for treating dry skin, it nourishes the skin and keeps it soft and supple, it improves the skin’s complexion, it helps soothe inflammation of the skin as well as skin irritations, skin burns, and skin rashes. Almond oil is a viable treatment for dry lips and helps with the anti-aging of skin. It is ideal for treating sensitive skin areas such as under the eyes to help lessen the appearance of fine lines and wrinkles. Almond oil as a food for healthy skin is often used in massage oil products because of the benefits it provides the skin and because it is a great skin lubricant. Many use almond oil as a hair treatment, giving hair nourishment and adding body and shine and strength. It has been mentioned that almond oil can also help with hair loss by massaging small amounts into the scalp. Other benefits of almonds or almond oil as a food for healthy skin include a reduction in cholesterol levels, help with the body’s digestive system, as a painkiller, and for the treatment of strained muscles. 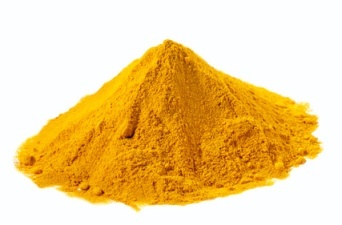 There are several benefits of turmeric as a food for healthy skin. This spice is a member of the ginger family and has been used for many hundreds of years in health and skin care. Firstly, a turmeric benefit that has been mentioned in the literature is its role as an antioxidant, which helps prevent cell damage and helps reduce the aging of skin and development of the signs of skin aging such as fine lines and wrinkles. Antioxidants also help prevent skin cancer. Turmeric’s healing properties have been speculated as helping certain skin problems such as acne, dry skin, psoriasis, chicken pox, rashes, and eczema. 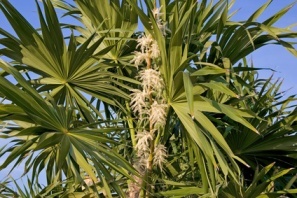 It is particularly effective for inflammatory skin problems because of its anti-inflammatory properties. When turmeric is used in a cleanser formulation, it gives skin a healthy glow and over time will reduce hair growth and lighten the appearance of hair. Turmeric also has antiseptic properties and therefore may be useful in treating pimples and minor skin infections, irritations, or burns. The benefits of turmeric for the skin can be realized by using this spice as an additive in skin care products sold commercially It has also been used in homemade skin care recipes to help reduce skin pigmentation problems of the skin and dark circles under the eyes, as a body scrub to make skin soft and more supple which can help with stretch marks, to treat chapped lips, as a treatment for cracked heels on the feet, and to help lightened the appearance of minor scars. Although many of the stated turmeric benefits have been known for many years, it is always best to consult with a physician if you are experiencing a health or skin care problem to prevent complications due to improper treatment.